In 2007 there were no council allotments in the town. There were a few private plots at Rowsells Lane rented from the Duke of Somerset, which were all taken, even though they flooded with salt water at least four times a year. 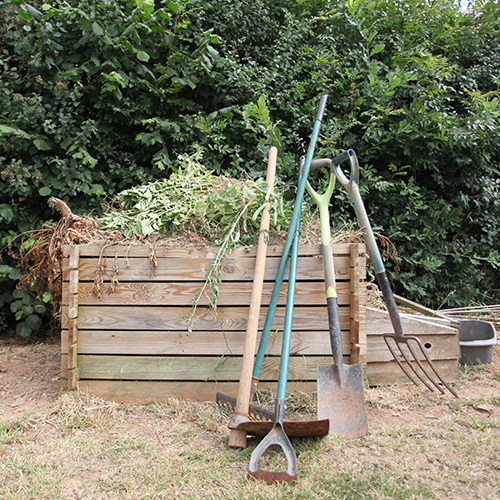 The District Council rented out a small number of garden plots – again all taken. That was it – extraordinary for a ‘green’ town like Totnes. Of course in the past there had been plenty of allotment land, but all was lost to housing development and car parks from the 1960s. Now the desire and need for allotments has blossomed again. 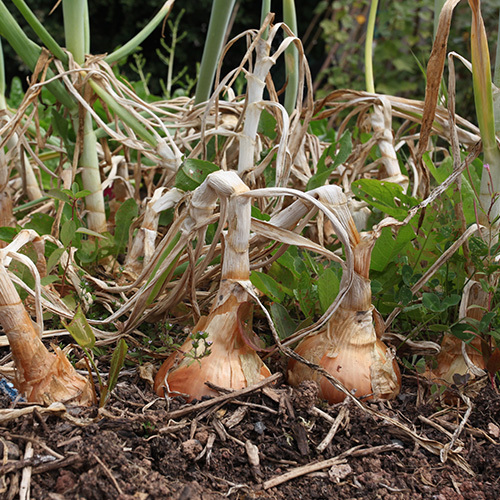 In the autumn of 2006 a group of people formally petitioned the town council for the provision of statutory allotments. The council said it needed a formal organisation to negotiate with, and so in February 2007 the Totnes Allotments Association was formed. Nine people attended that first meeting and they became the first committee. As there were no allotments the association operated initially as a campaigning organisation. We attended every town council meeting to put our case. We held demonstrations, with people dressed as tomatoes and leeks, and plenty of slogans – ‘Plotless in Totnes’, ‘All dressed up and nowhere to grow’, and the one which became our rallying cry ‘Give peas a chance’. Within a few months our membership had risen to 75 and the council had formed a working party, which two of our members were invited to join. All through the campaign we worked very closely with the council. In early 2008 the first allotments were allocated on a small strip of a meadow belonging to the Town Council. The meadow was below Totnes Castle and had been given to the town by Leonard Elmhirst of Dartington on the understanding that it would never be built on. For years it had been used for grazing. In 2009 the Kingsbridge Hill allotments were started. In 2012 we signed a lease with Dartington Hall Trust to create a third site on a field below Copland Lane. 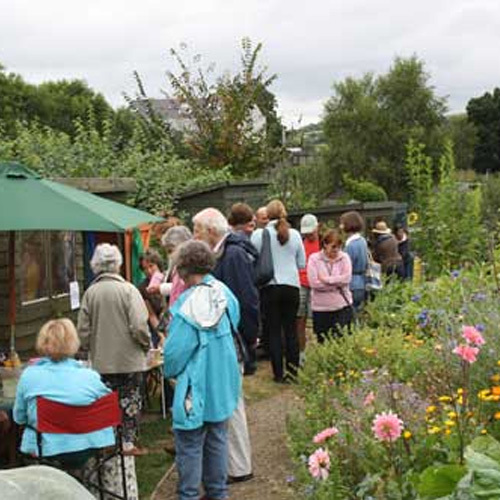 In 2010 Barry Weekes, of the Totnes Image Bank, made the Allotments in Totnes the subject of his annual film. Many other people and organisations in the town have supported the Allotments Association and we are pleased to support others in our turn. We support the Christmas Tree Festival in the Church and many of the Transition Town Totnes initiatives. Members of our allotment community are well known and active partners in many town events. Our waiting list keeps on growing and our campaign continues.